This is really cool. 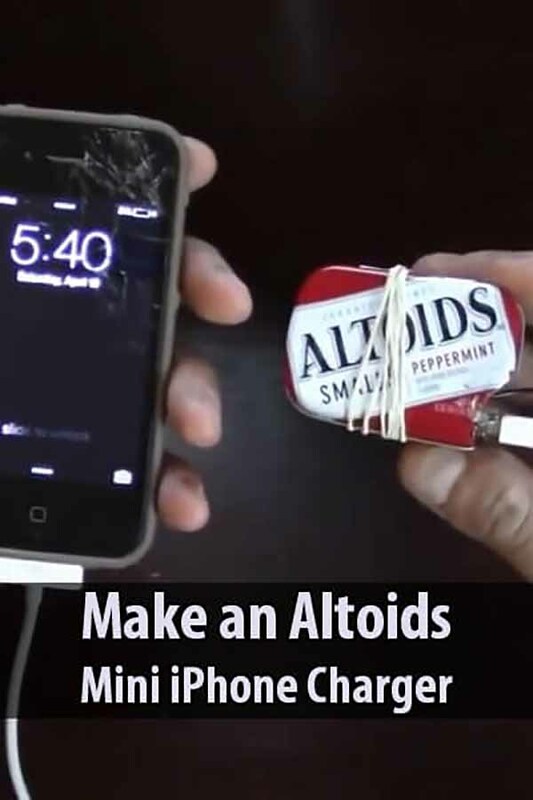 Readiness Plan made a video tutorial explaining how to make a portable phone charger with just a few things: 9V snap connector, 9V USB car charger, electrical tape, 9V battery, rubber band, multi-tool, and of course a mini Altoids tin. If you plan on using this a lot, you’ll want to stock up on plenty of 9V batteries. You could also get a few rechargeable batteries and a solar charger. This project is worth the effort if you are going to be on foot for a while and need access to your survival apps or anything else on your phone.